Phase II is now open with 36 new 50-foot homesites featuring four new designs from the Aspiration Collection. Priced from the $270's. 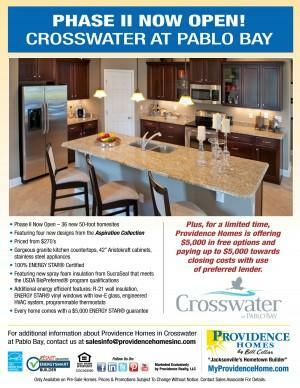 For a limited time, Providence Homes is offering $5,000 in free options and paying up to $5,000 towards closing costs with preferred lender. For more information contact us at salesinfo@providencehomesinc.com or visit us at MyProvidenceHome.com.